Chen Nan/ Ray Fu differ from other suppliers are successful manufacturer and exporter for all kind of fasteners and steel wires. We have our own wire processing plant, facilities including wire rod warehouse, spheriodizing annealing furnace, pickling surface equipment, wire drawingmachines. Also, we have the screw factory and packing plants and screw making plants. 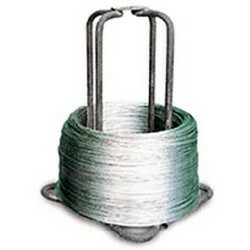 The annual capacity of Chen-Nan Iron Wire is 48,000 tons. With the above advantage, we offer the wire steel quickly and stably for the screw production. Our products are well exported to Europe, USA, Australia, New Zealand,Asian area and Middle East. Ex: AISI/SAE 302 ~ 430,JIS SUS 302 ~ SUS 430, or other standards.